Real Estate Photography is one of the most crucial types of photography prevailing in the world. It is because business magnets in this industry are badly in need of high-quality photos. In fact, high-quality photos make a great difference in real estate listings. If low-quality photos are used in real estate listings, the photos will lose their appeal, and this will ultimately make prospective buyers be averse to dealings. That is why we have come up with the best real estate photography tips for professional real estate photographers. Many real estate photographers think that a tripod is merely a tool for photography. They don’t put any importance on using a tripod at the time of capturing real estate photos. According to some professional photographers in the real estate industry, a tripod plays a vital role in capturing some of the most beautiful photos in the arena of real estate. Generally, a tripod helps you to a great extent while taking night time shots, action shots, close up shots etc. It is also helpful at the time of doing nature and sports photography. Taking only one flash to capture real estate photos is a risky move. It is because a single flash is perfect for shooting photos in a small room, but you will find difficulties to shoot photos in a large room. Though some photographers rely on natural light to capture photos in large rooms, it is not always possible to get enough natural light. Besides, the only light you take with you for shooting photos may behave strangely at the spot. That is to say, the light may get damaged while you are busy with shooting photos. Hence, taking extra light with you can save you while shooting photos in a large room where natural light is limited. Without taking light stands, you will find great troubles waiting for you at the time of shooting photos. If you think that it is not necessary to take light stands to all the spots for photo shoots, then you might be thinking wrong. Remember, you will not always find a countertop or a furniture item to place your light while shooting photos. To speak the truth, things do not always go in favor of us. For this reason, you have to take a light stand if you don’t want to undergo bitter troubles at your working place. A perfect lens is always in dire need for professional photographers. A lens can make your photography great if you can choose the best lens for some specific photo shoots. Otherwise, your photoshoots may look clumsy. There are some photographers who think that 24mm is enough to capture any sort of photos. But most of the photography veterans think that the width of a lens depends on location. |There are some places where you can use a normal lens. On the other hand, you will find some places where you need a wider lens to capture the best photos. The secret of great photography basically lies in great cameras. If your camera is not a professional one, then it is literally illogical to think that you are going to shoot the best photos. There are some photographers who prefer digital cameras to DSLR cameras or . They think that there is no necessity to buy a DSLR camera for photography as there are thousands of low budget digital cameras available on the market. But professional photographers always buy standard cameras for photography. In fact, there is no alternative to a great camera when you go to shoot for real estate companies. Background is one of the most significant elements of a great photo. If the background is perfect, then the photo must look beautiful. On the other hand, if the background of your photo looks cluttered, the photo will lose its appeal. Even if the background is not cluttered, it may look awkward. It is because there is a possibility to see your image in the background, especially when you shoot a photo in the bathroom. For this reason, you must be very careful while shooting a real estate photo. In this case, our recommendation is to check the background with sharp eyes beforehand. A bunch of photographers tend to take only a few photos; this is undoubtedly a bad trend about photography. You will be in trouble if you see any flaw in a photo you have captured. It is because you don’t have any extra photo to compensate for it. On the contrary, you will be able to replace the photo, which has a flaw, with another one if you have a good number of raw photos. So, you can easily guess that you should capture as many photos as possible. In fact, nobody will ask you why you have captured so many photos. But if you cannot capture sufficient photos, your client may be dissatisfied for not having the perfect photos. Blinds play a significant role to produce high-quality photos when it comes to real estate photography. As a professional photographer, you must know that photo shoots are all about lighting. Your great photos may get damaged because of poor lighting. Again, you can get some excellent photos by using good lighting. In fact, much of the quality of your photos depends on the lighting system. And to get the best output from lighting, you should always keep the blinds open. This helps you get some natural light, which is always good for high-quality photos. Generally, natural light helps space look better than before. By the way, if you close the blinds, they will make the space cold and dark–which is a great obstacle for quality photos. Editing is mandatory for any kind of photos. Without editing, no photos can look professional. But editing a photo for a business purpose is a crucial job. Especially, you have to prove a very poignant hand while editing real estate photos. Adding filters and doing colouration can be fruitful for some photos. But this sort of over editing is not good for real estate photos. The photos in the industry must look natural. If you edit your photos to a great extent, then they will ultimately lose their naturalism. By the way, try to edit your real estate photos considering the issue. It will be helpful both for you and for your clients. It is not ideal to show everything in the house. Sometimes it better to show less. In fact, showing less can make your buyers learn more about the house in some cases. There might be some problems in the floor design, bathroom design, and bedroom design. If you include all of the things to your photo, it will make your buyer feel embarrassed. Actually, nobody wants to buy a thing that has some kind of flaws. For this reason, you should try to show less to attract more buyers. Let the buyers come to see the property first. If they can compromise with some mere things, they will definitely decide to buy the property. You will find some houses that are cluttered with numerous things. As a professional photographer, you should not start shooting photos while everything is cluttered. In such a case, your first and foremost responsibility will be to declutter things in a particular house. After decluttering, you will find the house very clean and cool. Afterward, you can shoot photos for your client. However, the photos you capture in a decluttered house can be the best photos in your career. So, you should pay your full attention to decluttering things in a specific room or a house to get the best output from your photography. Capturing some photos of the neighbourhood is one of the most innovative real estate photography tips. In fact, it is a brilliant idea to capture some photos of the neighbourhood. Remember, the potential buyers will live in the area for a long time; they may even live there forever. So, they will definitely be interested to know about the neighbourhood. If your client is not aware of the matter, you should make your client aware of it. After that, try to shoot some beautiful photos of the neighbourhood. You should remember that you have to capture some natural photos of the area. Never try to exaggerate anything in your photos. But be careful to shoot excellent photos; otherwise, the photos cannot bring any buyers. There are some people who tend to show fake views through windows. It is not a good idea; it is one kind of cheating. Though cheating is a faster way to sell things, it ultimately makes you be doomed. By the way, if you apply such kind of ways to attract potential buyers, then you will likely lose your ready-to-go buyers. So, the best thing to do is to present real photos of the window views. Real views through a window may primarily look unattractive, but it can make the potential buyers trust you. And if you can gain trust from your potential buyers, you will not have to undergo hassles to sell your property. The most powerful photographic tools for professional photographers are their eyes and feet. If a photographer can properly utilize their eyes and feet, they will certainly get high-quality photos. As a professional photographer, you should always keep this in your mind. In fact, you will hardly be able to capture beautiful photos when your angle is wrong. However, you can make some changes at the time of shooting photos if you have a wrong angle. Try to move a few inches in any direction in case your angle is wrong. This will enable you to get the best angle for shooting photos. Researching should be the first and foremost task of any kind of work. The more you research, the more you learn. And learning is always beneficial to start any job. If you have landed the first real estate project in your career, then you need to do extensive research on the photos of this industry. You should do some basic research on your client’s expectation even if you are a pro photographer. However, there is no alternative to Google when it comes to doing any sort of research. Take the help of this giant search engine and make the best use of your time. Staging is something you cannot neglect while shooting photos for real estate. You may think that the owner has perfectly staged the house. But you should have a look to see if the staging is perfect. Remember, the owner has staged the house according to his taste. But your target is a large number of potential buyers. So, the staging must be universal to attract different people to sell your property. When you approach to stage the house, try different methods to stage. In this case, a pre-planning can save both your time and energy. There is a proverb that says: practice makes a man perfect. In the arena of real estate photography, practice makes some excellently beautiful photos. As real estate photography is for the purpose of business, the quality of your captured photos must be beyond question. If there is any flaw in your photos, buyers may lose their appeal. And to get the best photos, try to shoot some practice photos. It will help you realize if any improvement is needed. Afterwards, you can go for the final shots. Since you have taken some practice shots, you will be able to get high-quality photos in your final shots. Real estate photos must be captured without any distortion. While you are shooting, try to focus on the things that are essential to be included. You will find some photographers who never pay any attention to distortion; whereas, distortion may make real estate photos unprofessional. But a professional photographer needs to care about the matter to the fullest. If you want to prove yourself as a successful photographer in the industry of real estate photography, then you should also take care of your photos from distortion. A frame decides whether your photo is good or bad. So, it is essential to capture well-framed photos. But getting the best framing is somewhat difficult for photographers. However, try to capture the room from different angles to get the best frame for your photos. And avoid high-view as well as low-view angles to capture the photos of a particular room. If you follow high-view and low-view angles, some distortion may be included in your photo. You should try to use a tripod for the best frame of your photos. Make sure you have kept your camera at mid-height. The ISO speed plays a very significant role in ensuring the quality of a photo. For this reason, you must pay your attention to this element of photography. The surprising fact is that many photographers are not aware of the ISO speed. If you are one of those photographers, let’s learn what the ISO speed is. Controlling the sensitivity of the sensor absorbing the light is called ISO speed. In other words, we call it exposure in photography. The rendering becomes very light when you overexpose a photo. On the other hand, a photo becomes too dark if you underexpose it. So, you can easily realize how important the ISO speed is. Especially, it is highly sensitive in terms of real estate photography. It is because a slight difference of light can make the real estate photos lose appeal. Many photographers consider dusk as the magic hour for shooting photos. Taking photos at dusk is highly effective to lure buyers with the natural beauty of the house. That is why many photographers, in the industry of real estate, tend to shoot photos at dusk, especially for shooting exteriors. If you have never tried it, you should give it a try to take your photography to the next level. Light is a crucial thing while shooting photos for real estate. If you have natural light, then it is good for your photography. But natural light is not always in favour of you. Besides, you have to be very careful while using daylight. If you shoot photos from the wrong side, you will certainly get some low-quality photos. Some people think that taking a photo against daylight is good. But the concept is totally wrong. If you shoot photos against daylight, the room will look dark as well as unventilated. If you are shooting photos of an apartment, you should consider interior photos of that very apartment. Never waste your time shooting exterior photos. Remember, you have only one lead shot to draw the attention of the potential buyers. That is why you should pay your full attention to interior photos. In fact, those who are seeking an apartment must be aware of the interior design. It is because they have plans to live permanently in the apartment. You may proceed to take photos of the exterior, but it will not be much helpful. If the prospective buyers do not like the exterior design, they will not be interested in buying the apartment. Preset editing option is a great way to save your time for editing photos. A professional photographer does not get much time for editing photos. He has to spend his valuable time by capturing various photos almost all the time. In this case, preset editing options can help him get rid of bitter troubles while editing photos. Preset editing options can also help a photographer take some professional quality real estate photos. However, there are many options to choose preset editing. For example, you can go for either Photoshop or Lightroom while choosing preset editing options. However, a bunch of professional real estate photographers prefer SLR Lounge Lightroom Presets to give real estate photos professional looks. Considering a self-guided virtual tour is another great suggestion for real estate photographers. It helps a photographer to explore the property so that he can have some ideas to capture the best photos. Matterport Technology, however, is the most trusted technology in this field. Using Matterport technology, a photographer gets the chance to explore the property on his own two feet. So, it is undoubted that any real estate photographer can be benefited from virtual tours. Capturing some photos of the neighbourhood can boost the chances of selling a particular real estate property. For this reason, the photos of the neighbourhood play a vital role while you are thinking to sell a particular real estate property. And drone photography is the best way to capture the most beautiful photos of the neighbourhood. So, if you have an upcoming project of real estate photography, consider using drone photography. To sum up, there is a great number of innovative real estate photography tips for both amateur and professional photographers. In this article, we have tried to discuss the most significant tips, which a photographer needs to know to capture the best photos in the field of real estate photography. 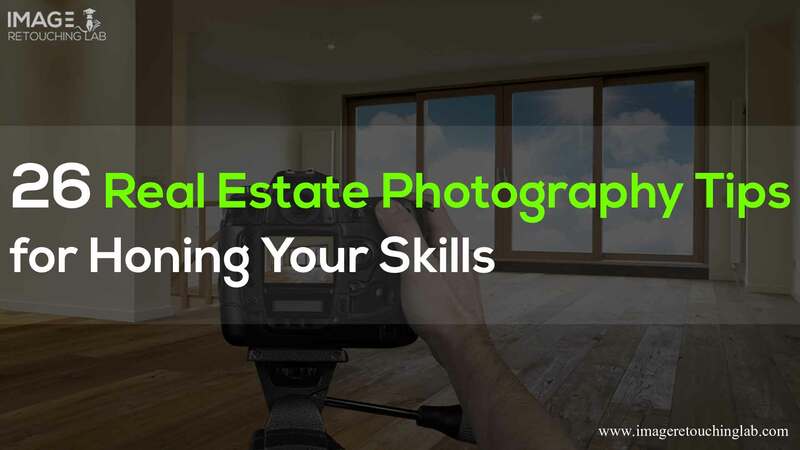 We hope these tips will help hone your skills in real estate photography. However, try to utilize the tips to a great extent if you want to shoot some excellent photos of real estate properties.